After spending many years painting in the style of traditional realism , Susan had the opportunity to work with Paul Ching-Bor to explore a new form of expression in Deconstructionist Watercolor. Working in New York City with a group of large scale watercolorists, Susan soon found herself fascinated by the experimental quality of this new media. A great departure from the world of realism this media allowed for great freedom of expression creating from an intuitive place, deep within, instead of inspiration from the outside world. The focus of her work has now shifted to large scale watercolor painting with an emphasis on abstraction of landscape and cityscape. Susan has studied in art schools in New York City including: classical drawing at The New York Academy of Art, figure and portrait painting at The Art Students League and The National Academy of Design. She credits John Philip Osborne for developing her painter’s eyes at The Ridgewood Art Institute. She has exhibited her work in: Boston, Cape Cod, Santa Fe, Vicopisano (Italy), and Istanbul, (Turkey), as well as several locations throughout New York/ New Jersey region. Her art school, The Warwick Atelier, was started in 2008 as a forum for creative development. In addition to ongoing classes and workshops in Warwick, students of The Atelier have attended workshops, led by Susan, in Tuscany, Ireland, Cape Cod and the Hudson Valley. 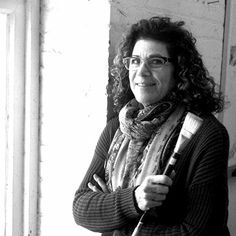 She also teaches drawing and pastel classes at the Ridgewood Art Institute. 2016 The Thomas Moran Memorial Award for Watercolor from The Salmagundi Exhibition for non- members. ART 345 – PHASES exhibition-ART 345 NYC. 2017 ART STUDENTS LEAGUE RED DOT EXHIBITION 'Surge', received a Red Dot from The Art Students League. 2017 PHASES (Group Exhibition) at ART345 in Harlem.